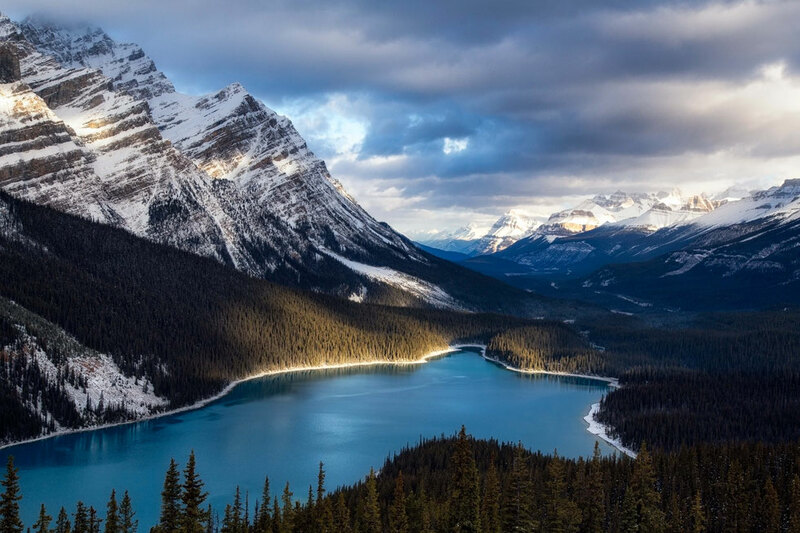 Famed for being beyond beautiful Icefields Parkway should definitely be part of your road trip itinerary if you are driving around this neck of the woods. Since moving to Canada in August last year I have driven up and down this road a handful of times trying to capture its dramatic scenery. 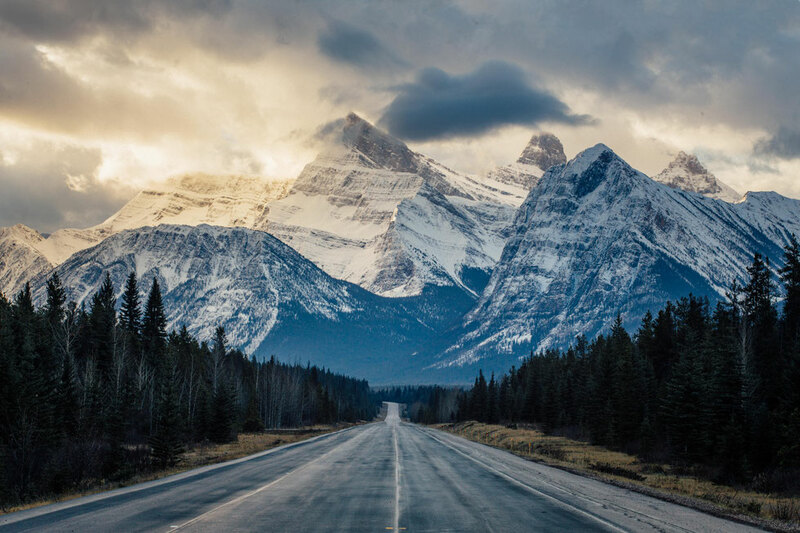 Named "the drive of a lifetime" by National Geographic the Icefields Parkway encompasses the meaning of the statement: "It's not the destination that matters, it's the journey". 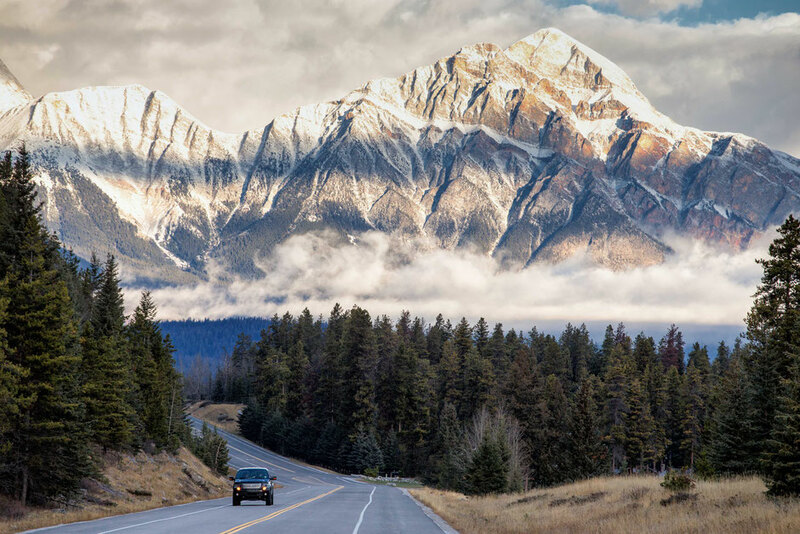 The 232 km stretch of road connects Lake Louise in Banff National Park and the town of Jasper. Check your brakes before you head out because I promise you, before you even manage to pick up a decent speed, you will be pressing on your brakes and stopping for yet another photo opportunity. 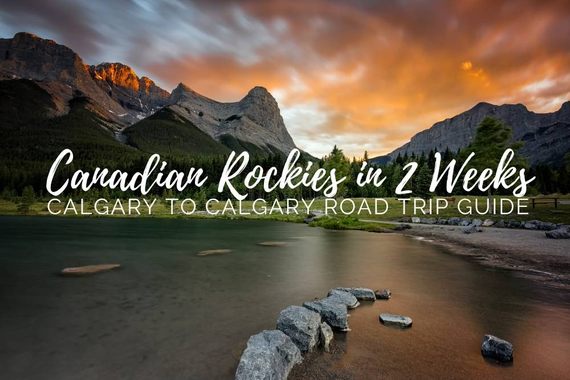 I would like to share with you some of the must do spots and hikes, together with some practical information on where to stay, as well as the do's and don'ts of driving along the Icefields Parkway. First and foremost. Don't try to rush it. Even though 230 kilometres may not seem like a lot, doing it all in one day will be a bit of a waste. I religiously tell everyone who plans a road trip holiday to take it easy and not to squeeze in too many attractions in too little time. It's your holiday, so for your own sake, relax! 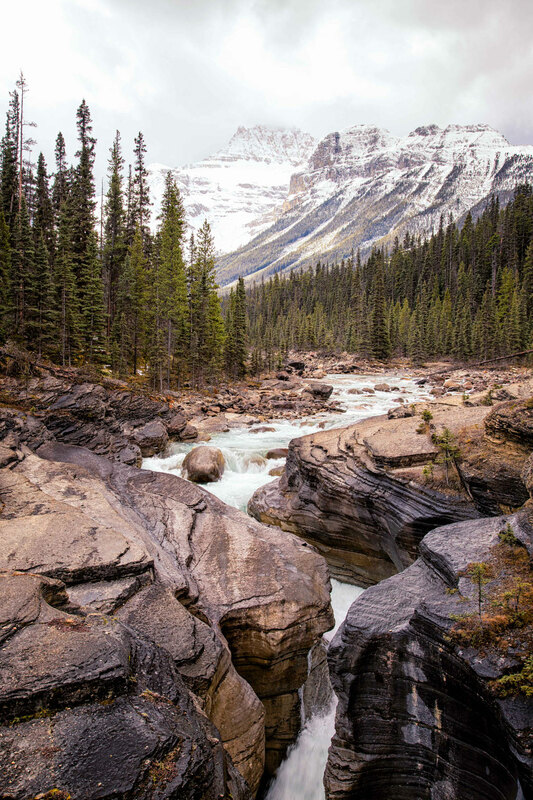 If you are planning your Canadian road trip to start and end in Calgary then it is worth driving the Icefields Parkway both directions to see different views and perspectives. Give yourself at least two days! That's a bare minimum. If you have an extra day or two to spare that's even better! There is a lot to see and do here as you will soon read below. Get a car! Having your own vehicle is a must. It will give you the freedom of stopping whenever you want. If you are coming from abroad rent one! Discover Car Hire great search engine for finding the best deals on compact cars. Many visitors to Canada choose to do their road trip in a campervan. I personally have done it in a self-converted minivan and think there is no better way to see this country. Motorhome Republic will help you compare the prices of major campervan companies and choose one, tailored to your needs and budget. Below you can find the map of the whole itinerary. If you click in the top left of the map you will find separate layers marking the destinations, photography spots, hikes and accommodation. Now to the main part. 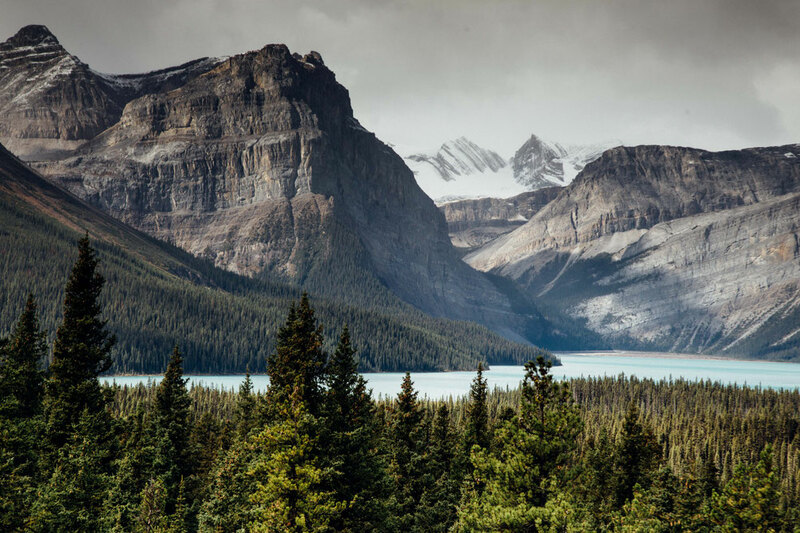 As mentioned before the Icefields Parkway is so unbelievably beautiful you'll drive it with your nose glued to your window! Just make sure not to run over any wildlife on the road! I have seen plenty of elk casually crossing the road in the most random of places. In the peak season (July and August) there will be plenty of cars parked on the sides of the road, with travellers inside them gawking at the views, so make sure to keep an eye on them too! 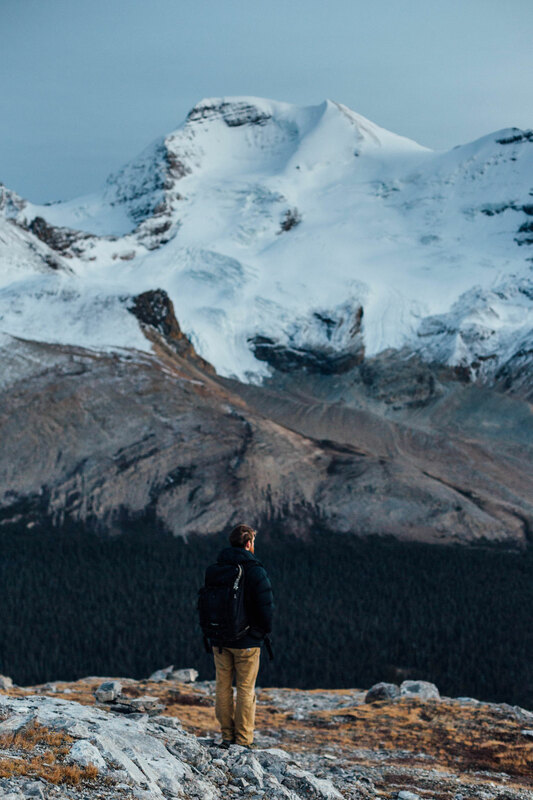 Below is the breakdown of the photo worthy spots and hikes you can do along the Icefields Parkway. Note: If you're following my Calgary to Calgary road trip plan for mountain lovers then you'll drive the Parkway in both directions. If you are sticking to my Vancouver to Calgary road trip plan then you'll be heading from north to south. You can drive along the Parkway in both directions from North to South (Jasper to Lake Louise) or South to North. This post covers is in order from south to north, however if you happen to be travelling from Jasper, you can scroll all the way to the bottom of this list first and start reading up. 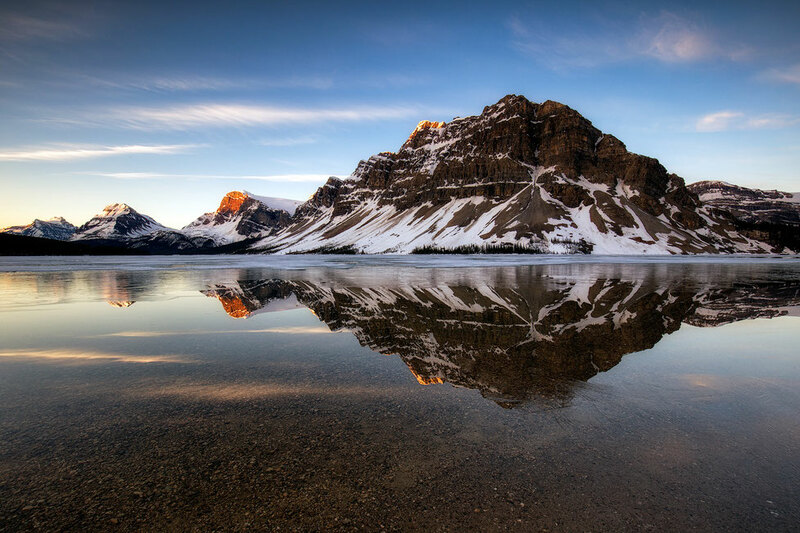 Hector and Herbert lakes, are beautiful glacially fed lakes at the southern part of the Icefields Parkway. Herbert Lake is right next to the road and gets much more attention. Hector Lake (pictured above) is a 5km (3mi) one way hike. Although it's an easy, mostly flat, well maintained path, it deters a lot of people. So if you want more peace and quiet you'll have to walk for it! Another small lake in the southern part of the Parkway - Bow Lake - offers stunning views of the Wapta Icefield, Bow Glacier, Bow Peak, Mount Thompson, Crowfoot Glacier and Crowfoot Mountain. In the summer months the glacier fed waters of the lake have incredible turquoise colour. A short gentle uphill 2km (1.2mi) hike from the carpark. Peyto Lake looks to me like the silhouette of a dog looking away. This spot belongs on my list of the most photogenic places in the Rockies. It may be also one of the busiest stops on the parkway so the earlier you arrive the more enjoyable the place will be. 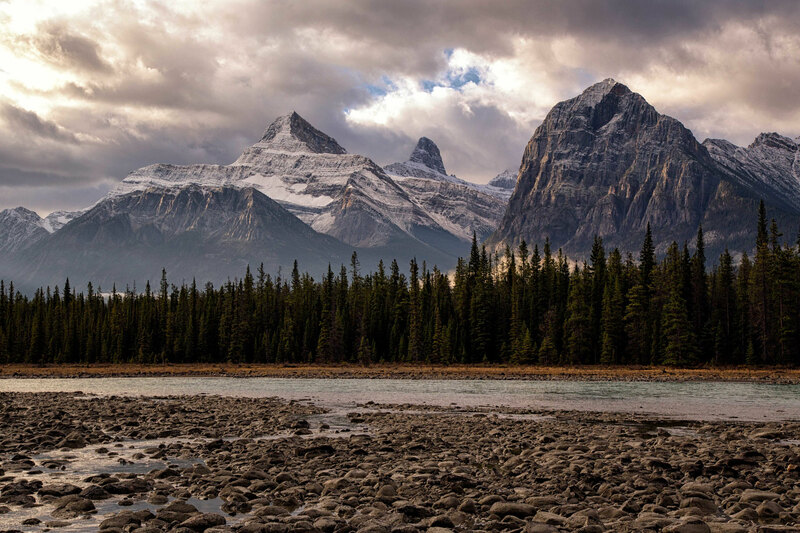 The roadside stop on the eastern shore of Waterfowl Lake is a must see whilst driving along the parkway. The hike to either Cirque Lake or Chephren Lake starts at the south west corner of the Waterfowl Lakes Campsite. Both hikes are very similar and can be done at the same time. The trail is known to get muddy, so make sure you have a decent pair of waterproof hiking boots with you. I would recommend spending the first night here at the campground. Mistaya Canyon is a 300m downhill stroll from the car park situated at the side of the road. 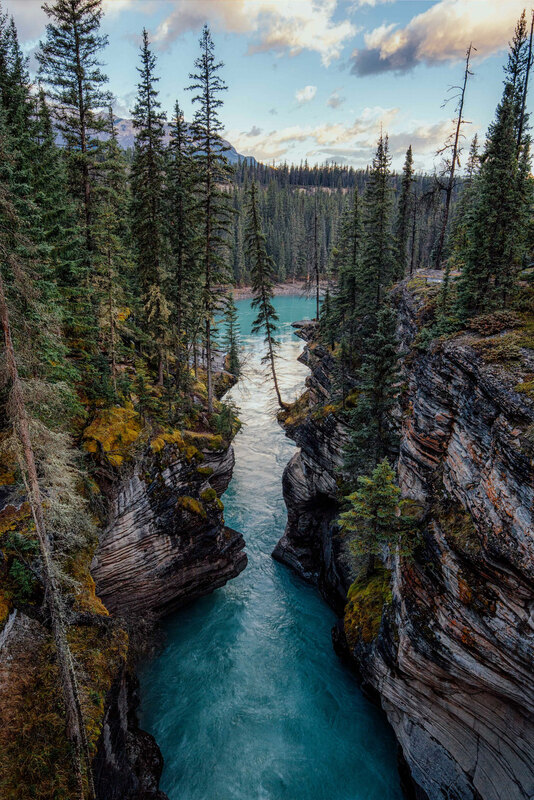 The raging waters of the Mistaya river are funnelled through ancient rock creating deep rumbling sound, which echoes of the canyon walls. There are no barriers preventing you from walking up to the river so be very careful on the rocks because they can become slippy. I have fallen in and almost lost my life in this canyon, a terrifying story I will share here with you one day. Just another typical scene on the Icefields Parkway! The view from this roadside pullout encompasses what the Parkway is all about in my eyes - a stunning road framed by breathtaking mountains. 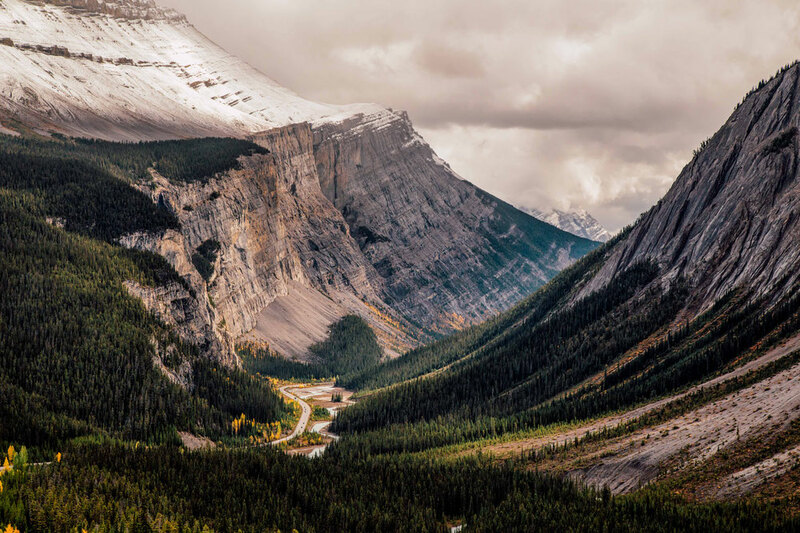 This is where the borders of Banff and Jasper National parks meet. Shortly after that crazily beautiful viewpoint there's a decent hike up to Parker's Ridge. It is approximately an hour uphill to the top of the ridge line, with gentle switchbacks. This short walk gives epic views of the surrounding mountains and it's classified as one of the best day hikes in the Rockies. 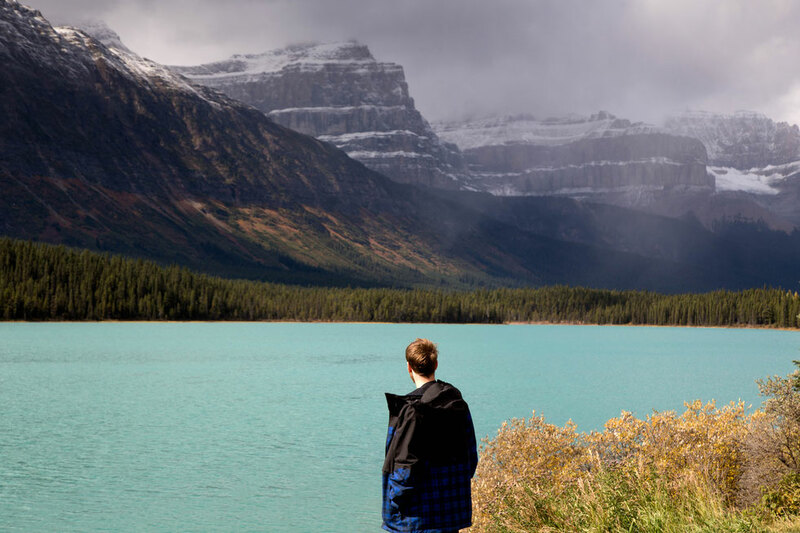 You’ll be blown away by the views of the Saskatchewan glacier to the north west. Another hike close to Parker's Ridge, but a bit harder and longer. You should plan at least 3 hours to complete it. 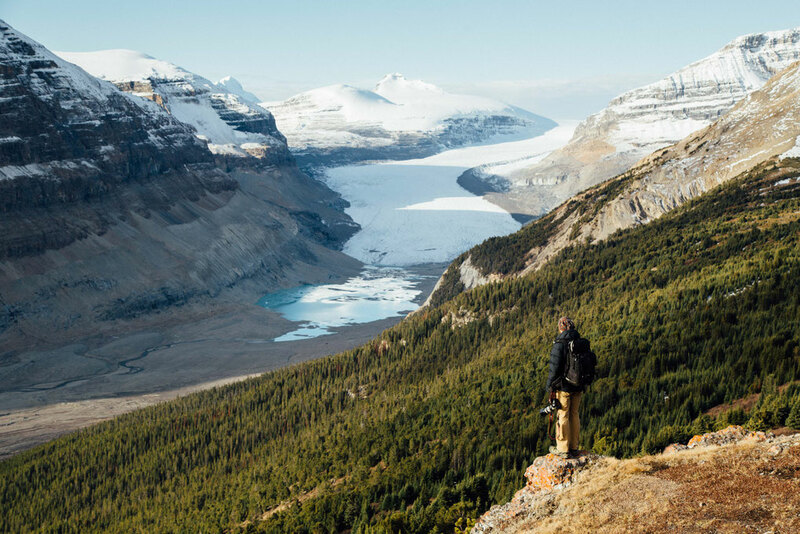 It’ll give you great views of Mount Athabasca and the Athabasca glacier. Look out for bighorn sheep and mountain goats in the upper parts of the hike. I've done this walk in the late afternoon and have seen lots of them! 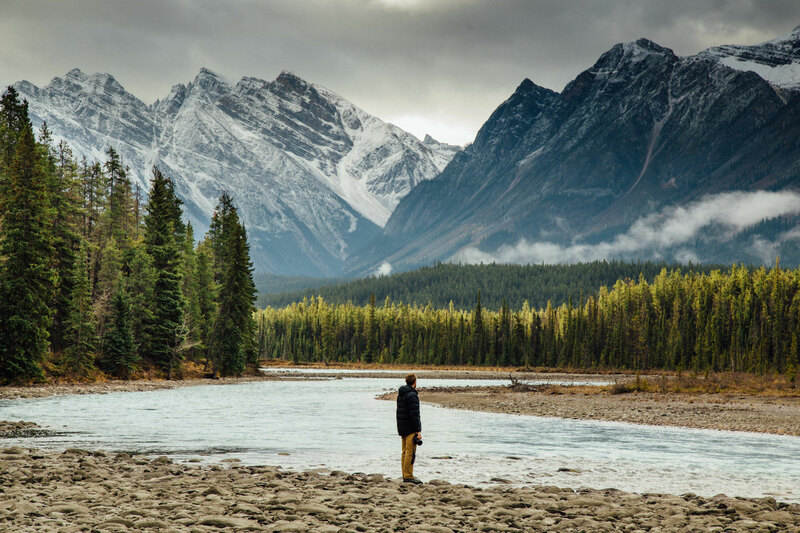 It's one of the most successful places in the Canadian Rockies to see wildlife. 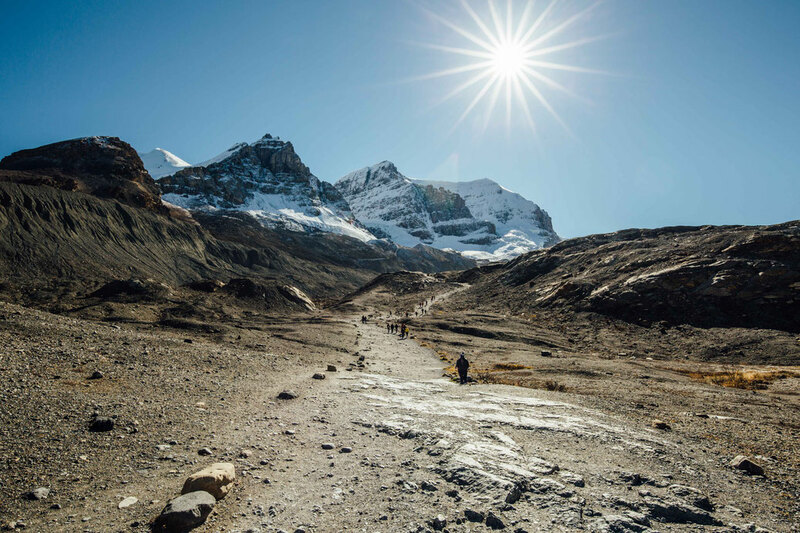 The Columbia Icefield is the largest in the Canadian Rockies. 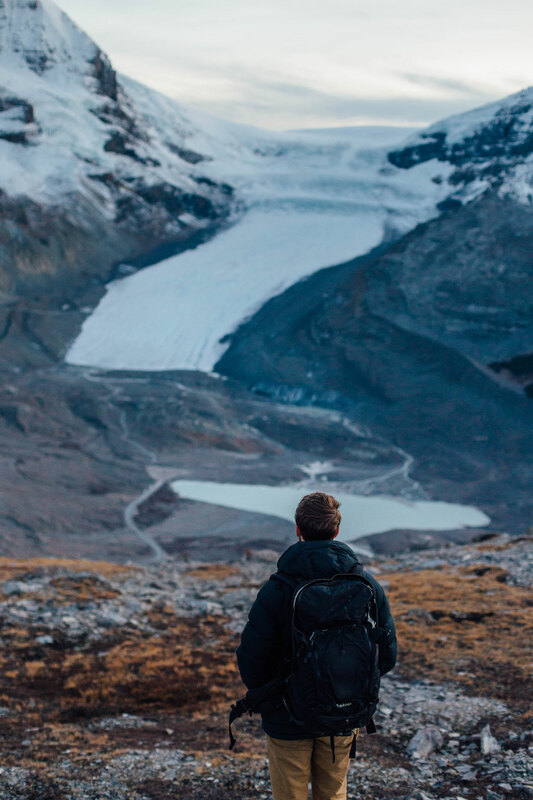 If you always wanted to walk on the glacier now is your chance! The tickets also include the admission to the nearby and recently opened glacier skywalk - a glass floored viewing platform that hangs 280 metres above the valleys and waterfalls below. If that's out of your budget, just park your car at the visitors centre and take a walk to the Athabasca glacier viewpoint. 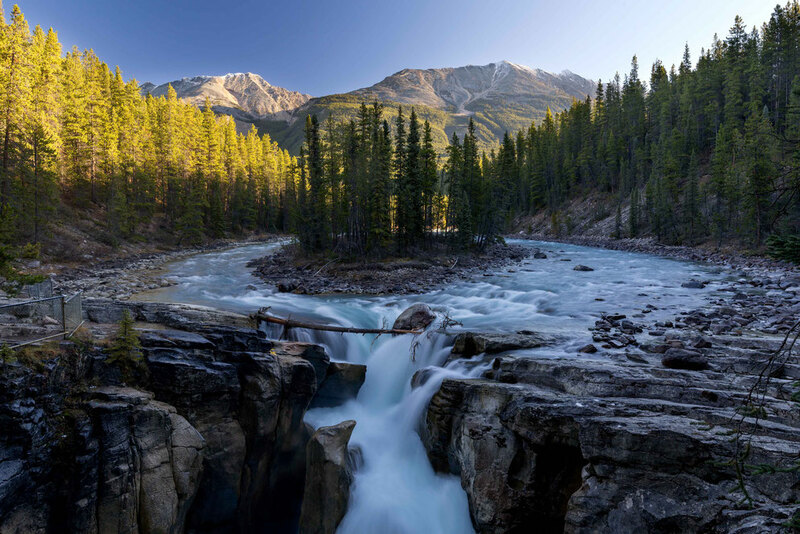 This incredible waterfall is framed by the leading lines of the Spruce trees and placed slightly below the island where the river splits in two. Although not as impressive as the Upper Falls, the short hike to the Lower Falls is well worth it too. This is one of my favourite spots on the Icefields Parkway. Not only because of the famous waterfall, but there’s also an awesome canyon, just on the other side of the road, that is very photogenic given the right light. Again don't try anything silly like standing right on the edge of the Canyon. Because of the mist from the waterfall these places are very treacherous. 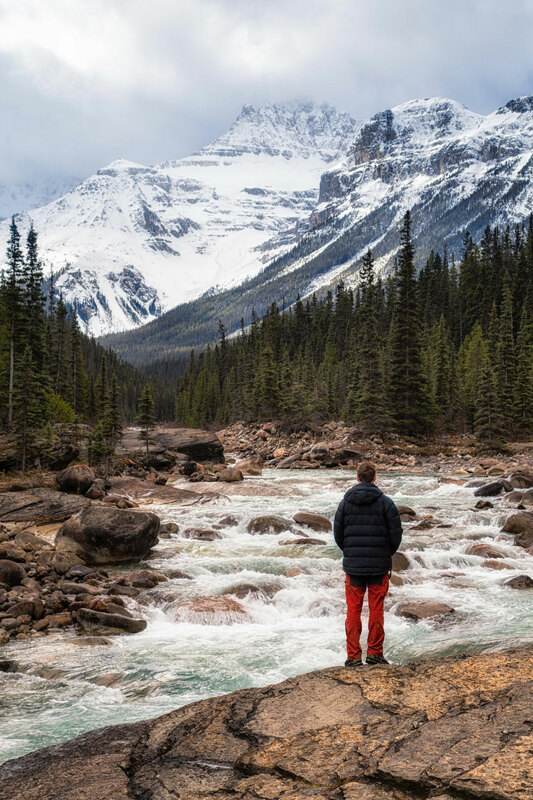 There are plenty of lodging options along the Icefields Parkway with majority of them being campgrounds. All campsites operate on the first come first serve basis and are available for check in from 2pm. Check out is at 11am. Don't expect luxuries. Most of them are only equipped with outhouses and no showers are provided. If you can make it a day or two without a shower, or if you camper is equipped with one, than it shouldn't be an issue. Campgrounds cost between 15-22 CAD/site/night. Payment system is usually an honesty box, so bring cash with you! 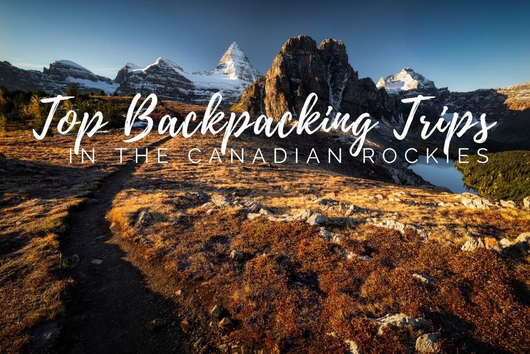 My advice would be to stay the first night at the Waterfowl lakes campground, which offers access to some of the best hiking trails in the area, and the second night at the Wilcox creek campground, due to its close proximity to many attractions in the Columbia Icefield Centre. There are also few hostels (popular with bikers) and lodges, for those who prefer a bit more luxury. Num Ti Jah Lodge and Sunwapta Falls Resort would be my two recommendations. Make sure to book fast as the demand is a lot bigger than supply. Below you can find the complete list of accommodation choices, dates they are open and distance from both ends of the Parkway. Please note the table below is best viewed on a full screen computer. Mid June - Early Sept. If you forget, don't worry! There are gas pumps at the Saskatchewan River Crossing around 80km north of Lake Louise. They are just a bit more expensive, that's all. There is no supermarkets along the road, just few overpriced shops with basic snacks. If you haven't already done your shopping in Calgary, do that in Canmore or Banff. Lake Louise supermarket is a bit of a joke and is really small, so I wouldn't count on it. 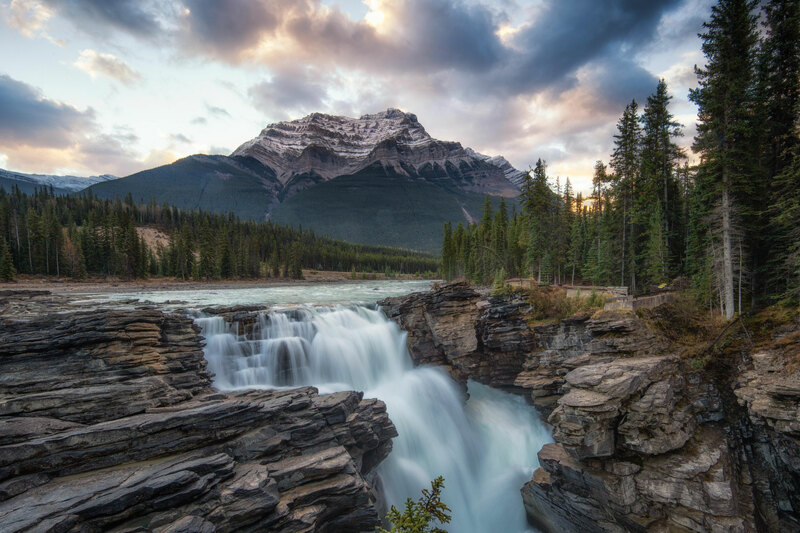 The Icefields Parkway stretches across two National Parks - Banff and Jasper. Parks passes are required and can be obtained online, at the parks gate or tourist information centres. In 2017 Canada is celebrating its 150 birthday making them free to all travellers! If you are planning any hikes, make sure to be in a bigger group (4+) for wildlife safety reasons. 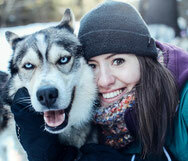 If you are a solo traveller now it's your chance to make some new friends. In the summer the trails are quite busy and Canadians are some of the nicest people on the planet so you have nothing to worry about. 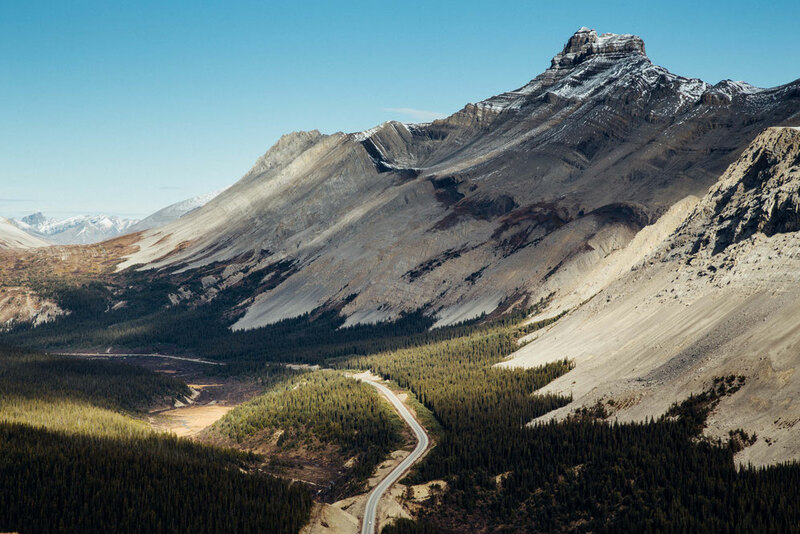 Icefields Parkway is a mountains and often very curvy stretch of road. There are plenty of road side spots to stop safely and take photos. However many tourist still choose to randomly stop on the side of the road because they spotted an animal or another great view. Just make sure you don't park in silly spots, like on the curve, where you car isn't visible. As soon as you leave Lake Louise or Jasper the radio dies and the phone reception is gone. In case of emergencies there are few satellite phones and warden's huts along the parkway, always marked with a sign. Don't worry about getting lost without GPS. All attractions are very well marked and all you have to do is keep your eye out for the signs. Campgrounds are usually operated on honesty box basis so if you are planning to camp make sure you have enough cash. 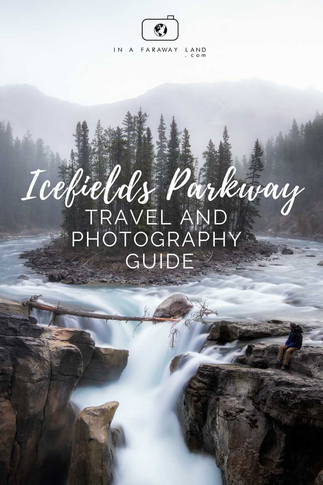 I hope the information I have gathered here for you will prove itself useful when planning your road trip along the Icefields Parkway. As always if you have any further questions don't hesitate to write them in the comments! Some of the links in the post are affiliate links, which means if you use them for bookings I get paid a small commission, at no cost to you. I would very much appreciate your help! Thanks.